As a rule of thumb: What, typically, would you currently expect to earn (net per annum before tax) from: a) A clean & tidy 3 bed residential property in say, Balmoral/Sandringham? b) A tidy $2m commercial property in industrial East Tamaki? What do you reckon is the quickest and least painful way to really learn about commercial property? (Work as a researcher for you for free?) 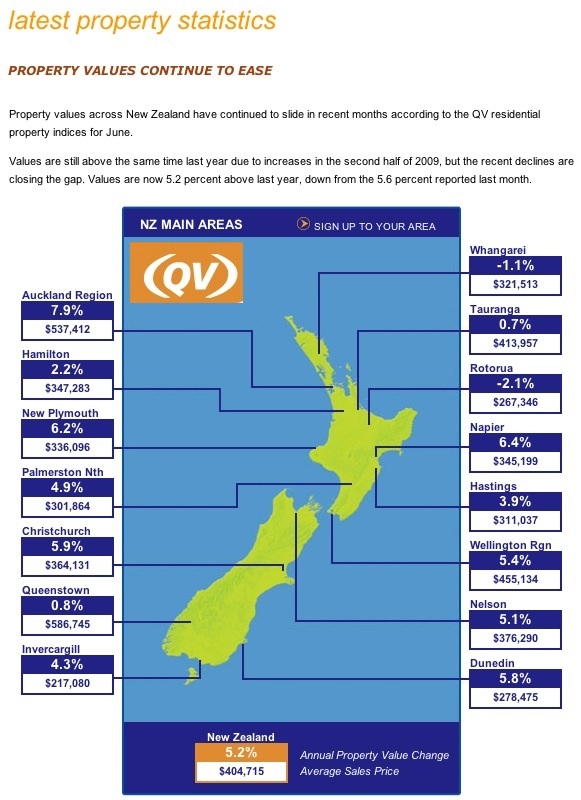 Do you think we are experiencing a Great Property Market Correction where, instead of house prices seriously tanking, rents will climb to the point where it will become worthwhile to hold residential in the absence of significant annual appreciation? I conscientiously read and enjoy your newsletters. As a rough guide you can expect around 3-4% yield from the Balmoral/Sandringham property- but it all depends on the number of bedrooms, condition and many other factors so this figure cannot be relied upon. again depending on position ad quality. Poorer areas cannot afford big rent rises so investing to more affluent areas would be the way to go. Q&A: Time to upgrade or downgrade? If you were selling a property in the current market, and buying another property, would you think it was better to buy a property at the same price you sold for ….. or for more and get a mortgage, or less and save the difference??? If you can find a nice house for less than what you sold for, and save the difference that would be a good idea. In theory it works well, but in practice people often get frustrated when selling down as the house they move down to is not as nice as the one they left. I predicted this 6 months ago and it is coming true. (1) The Government’s discouragement of property in investment by changing tax laws in last years budget to dampen investment and remove tax beaks. (2) The huge slow down in building consents partly caused by over anxious lending by banks, higher deposits required, and the effects of (1) above. the situation will only get worse — much worse — for renters. The inevitable result will be higher rents, and unfortunate stories of squalor and over-crowding. Soaring property prices have made it difficult for many first home buyers, but there is another way to enter the property market. Buying an investment property before your first home is a good way to start building an asset portfolio to help you get ahead. Michael Furlong, director of MAP real estate, was renting until last year, when he bought his first home at the age of 39. However, his first home was not his first time in the property market; he had bought and sold 18 properties before finally buying his dream home. He says there is a big difference between being a renter and a renter who is also an investor. “The way you win is to have all of your money work for you throughout that phase that you’re still renting. The term I use is a ‘professional renter’,” he says. Furlong says there are many reasons why it can be a good strategy to buy an investment property before your home. In this column, I would like to cover a variety of topics, as the last few weeks have been crammed with ‘news’ and opinions about the property market — and much of it arrant, dangerous nonsense. Some folk in the news media and posters on various websites have had a field day predicting the imminent collapse of the property market. They continue to be spectacularly wrong, it should be noted. These deluded commentators seem to believe that if property prices fell by 20% to 30% (as some have predicted) then they, and their children would be able to buy a house more cheaply in the future and that would be a wonderful thing. They think a massive drop in the market would make housing ‘more affordable’. What they cannot understand is if that really happened hundreds of thousands of Kiwis would be out of work, much of our economy and industry would come to a virtual halt, the banks would collapse and New Zealand would be reduced to a nation of ragged beggars left to shuffle through the two dollar shops and rifle garbage bins. Jobless and with an economy in ruins it wouldn’t matter if houses were a third of their present price. They would still be unaffordable. It will cause some consternation to these nay-sayers to learn this week, that house prices are still well up on this time last year despite the usual upside down view some in the media always make of these things. I always derive much amusement in the way the media portray good news through the wrong end of the telescope. The headline in this example says: “House prices fall further in June”.